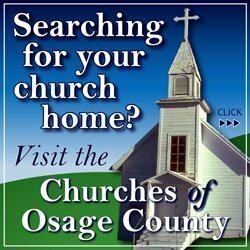 OSAGE CITY, Kan. – Opal Louise (Head) Patton, 88, passed away on Thursday, March 29, 2018, at Vintage Park, Osage City, Kan. She was born on Nov. 27, 1929, at home on a farm in rural Paxico, Kan., the daughter of Glen Bryan and Sara Augusta Ida Buchmeier Head. Opal attended one-room rural schools near Wamego, Kan., and Tulsa and Inola, Okla. She graduated from Wellsville (Kan.) High School in 1947. Opal belonged to several women’s clubs and card clubs over the years. She was a member of the Wellsville Methodist Church, was a Worthy Matron of the Wellsville Chapter 409 of the Order of the Eastern Star, then transferred to the Ruth Chapter in Osage City, and the Union Chapter 15 in Ottawa, Kan. She had reached her 50-year milestone in 2002. 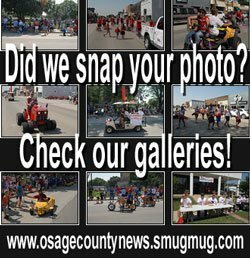 Opal worked as Scotts Store, at Ottawa, then for Hallmark Cards, at Osage City and Leavenworth, where she retired in 2002. Opal was married to Jerome Edwin “Jerry” Patton on April 21, 1948, in Wellsville. Opal and Jerry owned a bulldozer business and a portable feed grinder. They later moved to Eudora, then Gardner, Kan. They lived for 30 years on a farm between Scranton, Kan., and Osage City. 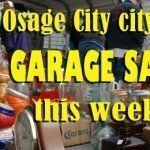 She moved into Osage City in 1993. Opal enjoyed gardening, canning, traveling with her husband and sister Ruth and her husband Dale, crocheting, spending time with her grandchildren and great-grandchildren, gambling, dancing, and playing cards. She visited all of the states except Hawaii. She loved to go to her grandchildren’s games, most recently her granddaughter Carly’s, and watching her KU Jayhawks. Opal was preceded in death by her husband, Jerry, on July 13, 1989; parents, Glen and Sara; sisters, Lola Sander and Ruth Stevenson; and great-grandson, Ryan Lane, on Aug. 22, 2015. Opal leaves three children, Jeri (Bill) Spicer and Jay (Cathy) Patton, all of Osage City, and Larry (Susan) Patton, of Lawrence, Kan.; brother, Dr. Kenneth (Elinor) Head, Paola, Kan.; four grandchildren, Sheri (Rod) Oswald, Dallas (Tracy) Lane, all of Osage City, Carly Spicer, Emporia, Kan., and Cody (Angela) Patton, Americus, Kan.; and five great-grandchildren, Rylie and Tyler Oswald, Callie Lane, and Preston and Avery Patton. Funeral services will be at 10:30 a.m. Saturday, April 7, at the Feltner Funeral Chapel, Lyndon. The family will receive friends 6:30-8 p.m. Friday at the funeral home. Burial will be in the Osage City Cemetery. In lieu of flowers, the family requests memorial contributions to Great Lakes Hospice or Vintage Park for residents accessories, sent in care of Feltner Funeral Home, 818 Topeka Ave., Lyndon, KS 66451.